Sometimes it seems like making a CD is like birthing a child- fun to conceive, seems to take forever in incubation and the actual birthing is freakin hard. But then, LO, you have this amazing creation that you get to share with the world! I am so grateful to so many who supported me through this process: my amazing family, community, Shawnigan Lake School, Tanya Gillespie, Wendy Wall, Zena Green, Steve Smith, Yaz Yamaguchi, and all the amazing players: Brian Horwitz, Alex Rempel, Daniel Lapp, Ivonne Hernandez, Kelly Sherwin, Chandra Crowe, Laura Carleton, Eli Bender and Jessica Blakney. And Jack Connolly who did an unbelievable amount of work helping create this amazing collection of heartfelt songs. THANK -YOU ALL! New single, CD Release shows! The video, which was created by grade 9 Shawnigan students Magnus Scott and Fernando Gio, is super sweet… I’ve watched it a bunch of times and every time I like it more and more. It’s like this antidote to today’s crazy fast-paced world. And I love how it complements the song. Some folks I showed it to said they understood the song better after watching it. I also have my album release tour solidified and I hope that you can make it out to a show. We had our first rehearsal with drum kit and wowee is it ever fun to have that kind of big energy. I’m REALLY looking forward to hearing it with the whole band and recreating the magic that is captured on the album. Here it is, finally. Upon me. This journey, which has been so long and drawn out, is finally culminating in my album release and island tour. The great thing is, it is so worth the wait. I heard my first master this weekend and holy cow does it sound fantastic. Jack spent a ridiculous amount of hours recording and editing to get everything just right, Steve did a fabulous job on the mixes and the mastering is the icing on the cake. I’ve just sitting on the side mostly, throwing in my two cents and biting my nails as the release date creeps closer (oh yeah, and writing grants, and booking shows, and applying to festivals, and organizing rehearsals, etc etc). Hopefully I will see you, dear reader, at one of these shows. So I’ve been making a CD, Heart is a Tower, for over a year. And it’s been quite a journey. It started in fall 2017 as a small, intimate (and inexpensive) project to take some “B” side songs and throw together a CD which I wouldn’t necessarily promote very much. I knew I wanted to do a full production album in late fall 2018 and I was saving some of my better songs for that. 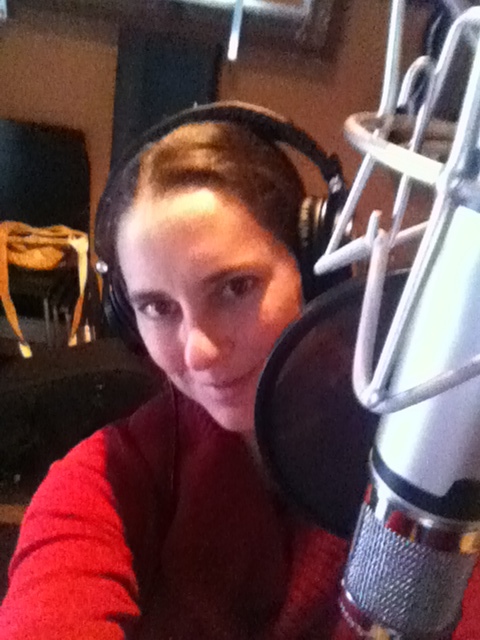 My friend Tanya offered to record it and we got started, with guitar and vocals. But then I wanted harmony. And then fiddle. And then percussion….and then…. it was more of an album. Around February I sent a friend request to some guy I’d never heard of but who I had heard was the music teacher at the school where my oldest son was about to start in the fall. I had heard that there was a state of the art recording studio and a hot shot Seattle based engineer (Steve Smith) there. So why not become buddies I thought?? That guy, Jack Connolly, turned out to be a singer-songwriter and had had his own successful career. He was also really into recording. We hit it off right away and soon I was sending him a track from the album I was making. Well, he loved the song but was concerned about the recording quality (and then later, some of the songs I was including- or not including). Why put out an album of B sides that you don’t want to promote at this point in your career? he asked. Why put out a CD that’s not as good as your first two? Well the next thing you know, we’re re-recording the whole thing at the new studio, swapping out songs for the stronger ones and pulling in full drum kit, cello and fiddle and bass along with a bit of mando and banjo. And so I will DEFINITELY be promoting this one. It’s full of songs that reflect a very personal (and prolific) time of my life, with songs of family (including a cowrite with my dad and a song of his!) and love and change. The other thing that happened is that Jack asked me to produce HIS next album, which is exciting and a little scary. I get to choose the songs, help arrange and choose instrumentation. It’s been amazing so far (if a little scattering, what with working on my own album so much!). And the fall out from all this working together is that we have begun to learn each others songs and even played a couple open mics last week. Kelly Nakasuka called us “Cowichan Valleys Hottest New Duo” lol. It certainly is easier to work with someone who lives in the valley, is such an exceptional musician and who loves my music so much. And oh, did I mention the AMAZING vocal blend we have??? So now we have some “duo’ shows scheduled before my CD release tour. Official release date is March 1 so stay tuned to shows near you!! So it happens that I am here on the day before embarking on my first International tour. Or rather perhaps it’ll be more about networking and showcasing than really making money. But anyways, it’s IRELAND and I’ve never been and I’m very excited! Two and a half weeks in Ireland followed by a short jaunt to Barcelona for fun. This trip has been months and months in the making but has been plagued by strange communication difficulties and so has been the source of quite a bit of stress. At this point though it’s all system’s go. The idea is to make enough connections to go back for future tours and festivals. Regardless of what happens, I am guaranteed to meet tons of great people, hear tons of great music and play my heart out. Stay tuned! So the scraps of Christmas paper are slowly being picked up, the chocolate consumed and the new toys finding their way into the playroom. We had a lovely white Christmas this year- all 8 of us were even healthy. Now in this lull between Christmas and New Years I can reflect on this year and what it brought me and my writing. Ivonne and I had a couple shows as a duo, which was cool- it’s clear that we can pull off quite a lot of songs, with Ivonne singing harmony as well as lending her amazing fiddling chops. We spent a week at Nimblefingers where I learned a lot from the great guitar-picker and crooner Greg Blake. I went too hard there though- I ended up extremely sleep deprived, dependent on sugar and alcohol and totally crashed on my return, with insomnia and anxiety. It was a scary experience that I do not want to repeat. During that strange mental state though I had a kind of lucid creative experience that continued for months- I pumped out probably 10 songs or so with many more incomplete song starts. This fall I also started taking Kung Fu with the kids. It has shocked me how much I love it- I’ve never done any martial art but my dance background makes it pretty easy for me to catch on and I LOVE the work out I get. When I started I could do 3 push ups and now I can do 20, or more if I take breaks! The staff are great, the vibe is so positive and I love the discipline it requires. Another highlight of the past year includes some recognition: I won the BC Musician Songwriting competition which includes a songwriting intensive in Wells, BC. I supposed to do it this past summer but had a conflict so I will participate in 2018, which I am very much looking forward to. “Down Down Down” was also a finalist in the International Songwriting competition. Wynn Gogol won a 2017 Vancouver Island Music Award for Producer of the Year for our Fine Line album and the album had 2 other nominations including Album of the Year and Folk/Roots Recording of the Year. So onward to 2018. I hope that the state of things in this crazy world improves as it really is disheartening to see so many awful things unfolding. In the meantime, I hope to pump more love and joy into my own small world and hope some if it trickles out beyond. So this Sunday marks my 11th mid-May celebration of being a mother. I am so lucky to have 3 beautiful, precocious sons who are smart, capable, loving and creative. This Sunday also is the second weekend of “Genevieve and the Wild Sundays” CD Release tour- we will be on Salt Spring and Pender Islands. So I guess that means that I will be away for most of Mothers Day- the day I “should” be with my children. Do I feel guilty?? Of course!!! I wouldn’t be a Mother if I didn’t!! I especially felt guilty when my littlest, Joah, today in the car said “I have your Mother’s Day present… do you want it today? ?” and I said “No, sweetie, wait till Mother’s Day”. When, of course, today would have been a much better day for me to receive said gift, for us to get sentimental and for me to shower him with gratitude for being such an amazing son. But somehow, I deferred the gift to the Hallmark Sunday when I won’t be seeing him until after he’s has a weekend with dad and brothers, late nights and grandparents (which all usually equal extra sugar). Whoa is me. Right now, it’s mid-week, before Mother’s Day, and I’m in the throw’s of my life that ISN’T music- working at the winery, prepping kids lunches, doing dishes and laundry, hoping to get into the garden, and preparing my hubby’s birthday party tomorrow. I live such a (quazi-) normal, domestic life you’d never know that my band had a such a glowing review in the latest BC Musician Magazine, or that we’re embarking on our CD release concert series next weekend. But then, I highly suspect that many of those so called “normal domestic” mom’s are also living out crazy, creative, and (like me) slightly deluded lives. Singer-songwriter Genevieve Charbonneau steps up front to lead her trio of Wild Sundays through twelve acoustic original treats filled with shimmering harmonies and polished musicianship. 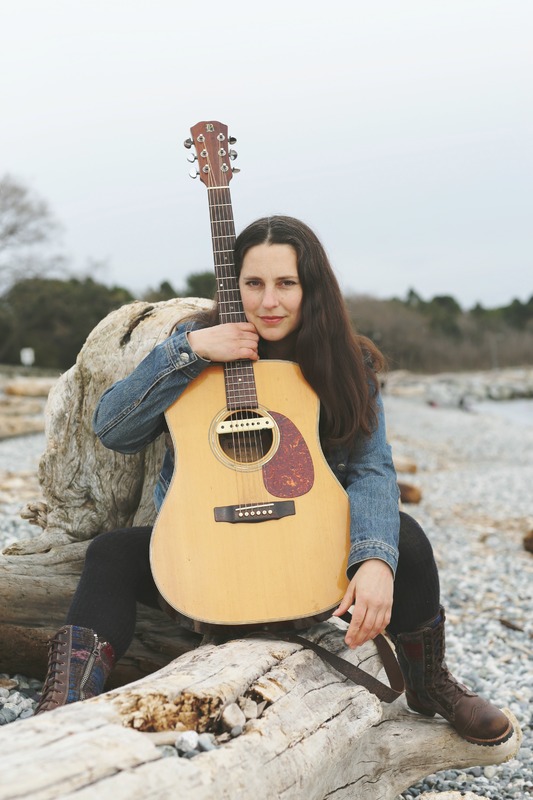 An active musical collaborator and trainer dancer hailing from the Cowichan Valley, Charbonneau has played in several music projects, including the Twisted Vine String Band, and the award winning Balkan Babes. Backed by fellow Balkan Babe, Kelly Sherwin (Ain’t Dead Yet, Flash in the Pan) on upright bass, percussion and vocalist Laura Carleton (kivaBEAT), and multi-instrumentalist Chandra Crowe holding it down on mandolin, Charbonneau’s Wild Sundays float through your ears like bluegrass angels. All the musicians here have collaborated with one another in a variety of Vancouver Island bands and choirs, bringing with them a love for old timey string music, West African rhythms, and flavors from the Balkans, Turkey and the Middle-East. The playing on Fine Line is accomplished, the production by Wynn Gogol at One Ton Studios is highly polished, and the harmonies are glorious and truly inspiring. More sweet than salty, much more whimsical than jaded, the songs on Fine Line go down like cold iced tea in a sun kissed garden on a lazy hazy afternoon. So yes, I feel blessed! So lucky that I can do what I love, feel supported in that and that I have the freedom to write whatever I want in this blog (and in songs!) Thank-you!! Happy belated Halloween and Dia de Los Muertes. 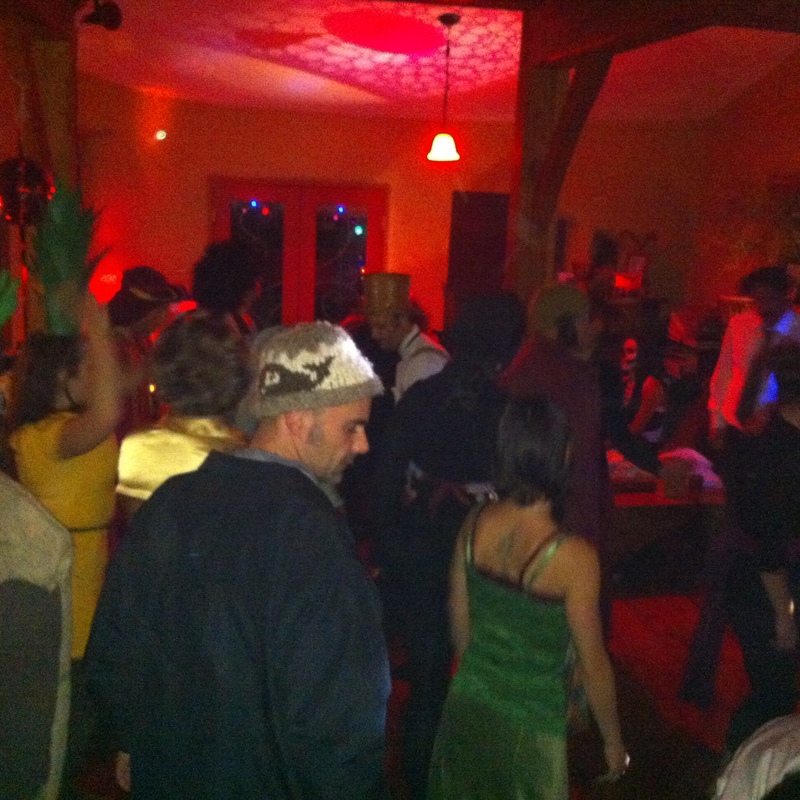 We had a fun and spooky dance party at our place, complete with light-effects, smoke machine and fireworks. It’s the first year in ages that I felt like putting effort into my costume. It was a pretty fun night- and my mom had the kids!! 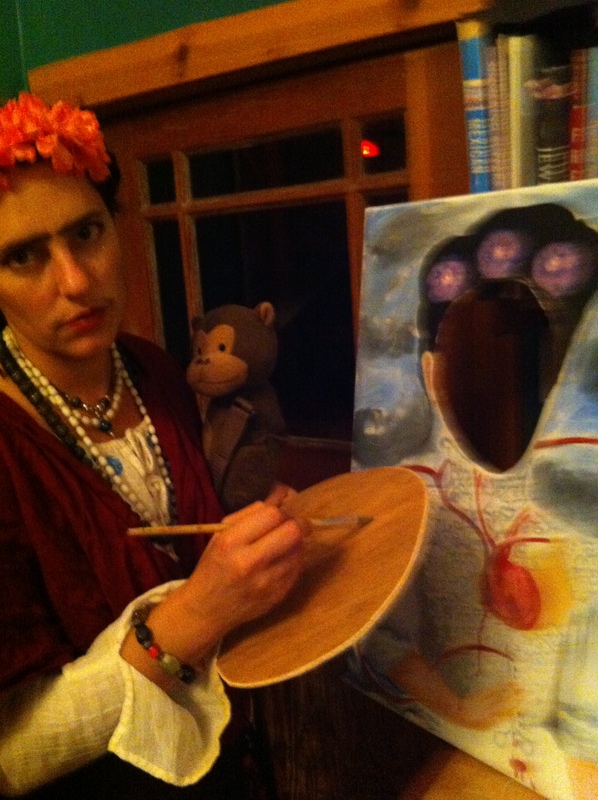 This is me, as Freida Kahlo. Very exciting news! My band has been in the studio the past couple weeks recording a new album and it is so thrilling watch it unfold and come to life. Wynn Gogol is awesome to work with- patient, complementary (but of course, ha!) and fast on his equipment. I am particularly excited about the new songs- Consequences, You Could Never Be and Long Way to Go. Maybe just because they’re new. But also I guess I feel they are representative of my evolving songwriting. And the vocal harmonies on You Could Never Be are really exciting…. Well……. I did it- finally launched my own website, with the encouragement of my girls in the Wild Sundays. It’s a pretty easy procedure, it seemed a little silly not to do it! So here we go with yet another website to keep on top of! Oy ve!! I am happy and excited to say that the Wilds are going to record a whole new album this October with Wynn Gogol! I am really looking forward to seeing these songs take on new life through the recording project. 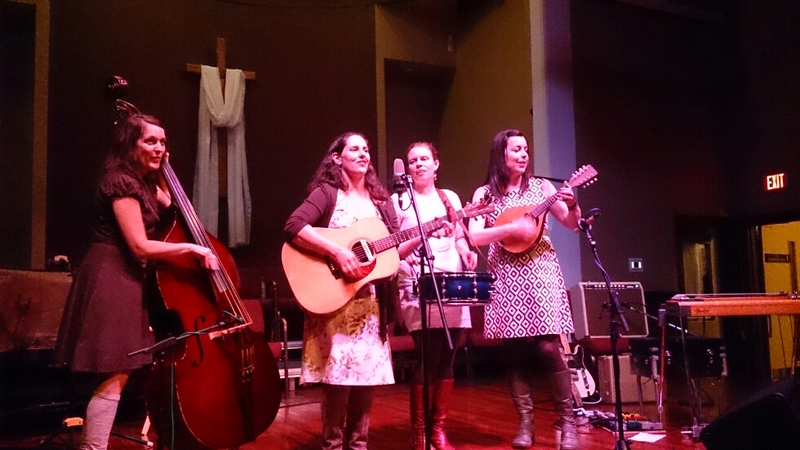 We will probably add a little fiddle or banjo too- watch for the new album sometime next year! We will be launching an indigogo campaign as well as applying for a Canada Council Grant- my first time going through that process. Hopefully it’s not too daunting! So September brings some fresh starts- a new album on the horizon, new songs being penned (I’m really on a roll right now), and my youngest son has just gone into kindergarten! Wow- how the time flies!